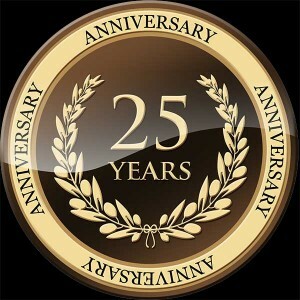 Dependable junk removal and dumpster rental since 1991. If you've got junk, garbage, debris, trash, waste or rubbish give us a call. We know your time is valuable so we don't play games. The owner answers every call and tries to give honest estimates immediately. Larger jobs may require a free onsite estimate or you can email or text photos.. Junk hauling prices are based on weight and volume. Dumpster rates depend on container size and the materials being disposed of. 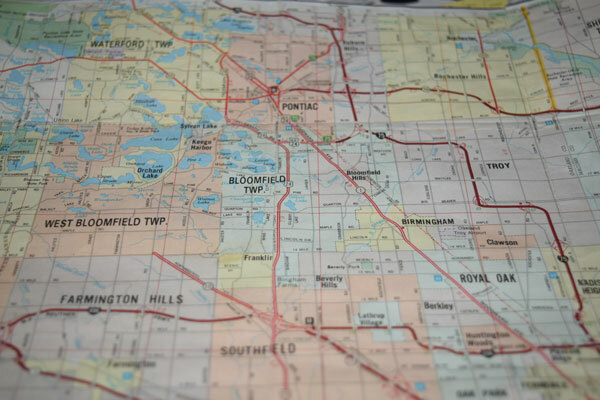 Michigan's a beautiful state and we're happy to help keep it that way. 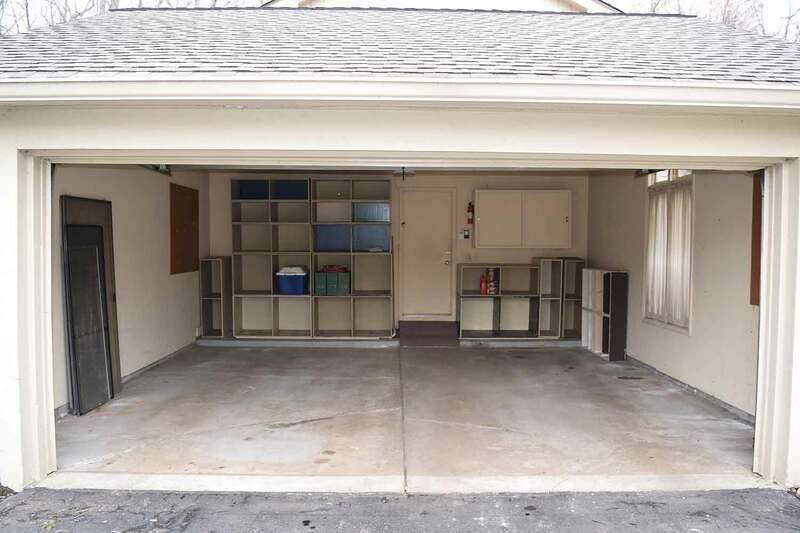 No need to worry about driveway damage with our trailer dumpsters. Driveway friendly and in a variety of sizes. 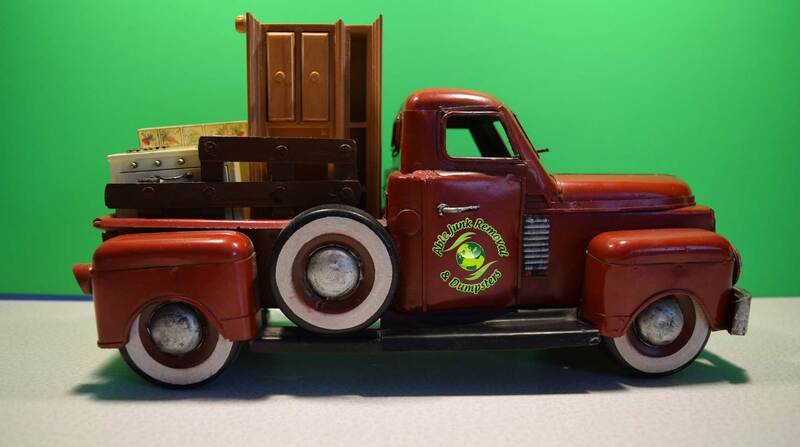 Great for house clean outs, moving, furniture, appliances, house junk and smaller construction jobs. We remove just about anything non-hazardous: furniture, household junk, TV’s, carpet, construction materials, appliances and yard waste. 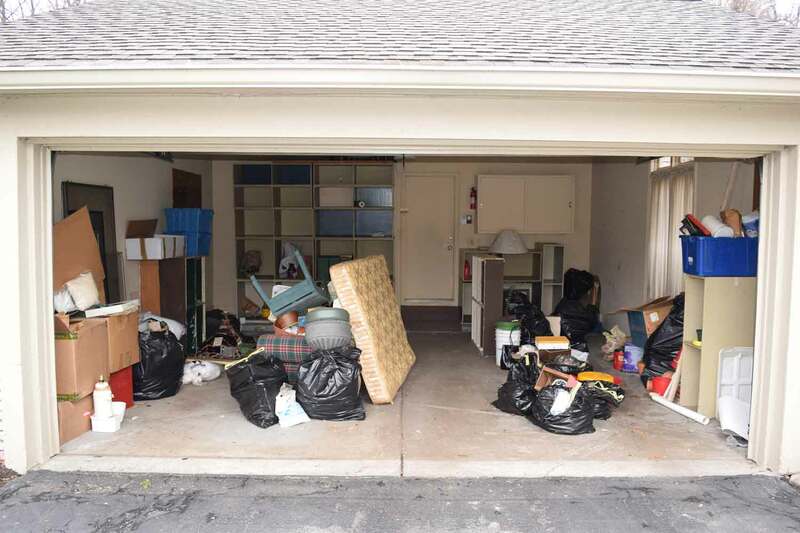 Prompt junk removal service from garages, basements and offices. Anything, Anytime, Anywhere. 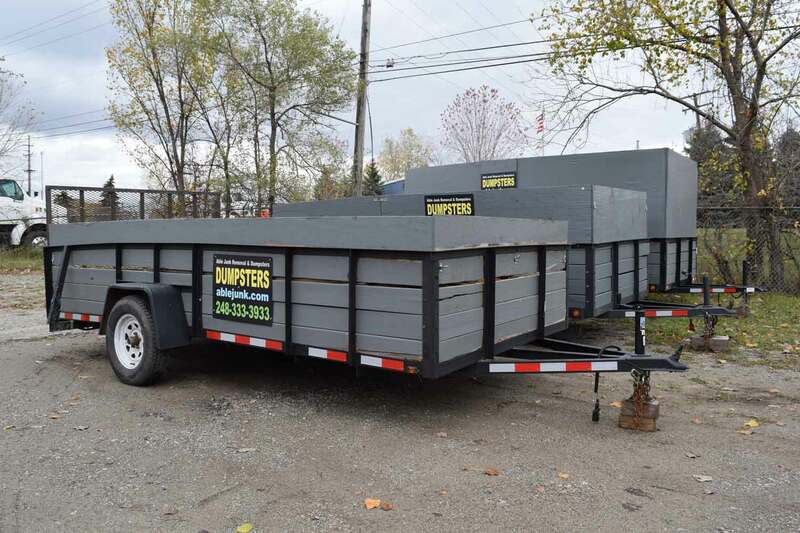 Roll off dumpsters are perfect for larger projects and heavy construction materials including building material, wood, lumber, drywall and concrete. 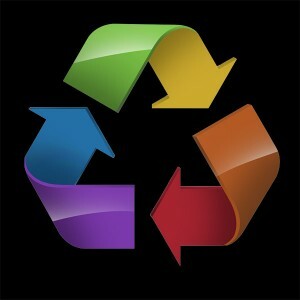 We donate or recycle most of the items and material we recieve. This may also reduce the cost of your job. It's well know that metal, paper, cardboard, plastic, glass and yard waste is recyclable. But we also recycle wood, concrete, bricks, dirt, batteries and more. We donate an enormous amount of items and material each year. Items such as dressers, beds, couches, sofas, chairs, tables, office furniture, rugs, toys, clothes and other household items. 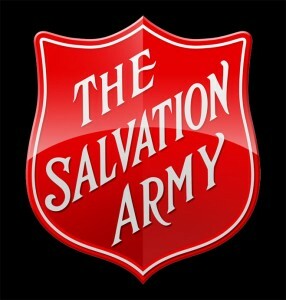 We have found the Salvation army particularly easy to work with because of their large network and the vast amount of items that they accept. Or we can use the charity you choose. We can verify and send receipts to you. This is the second time I have hired Able Junk Removal and just like the first time, one year ago, Able was extremely careful of walls, doorways and woodwork while maneuvering old furniture out of the house. Calls are taken directly or answered in minutes. Both this time and the first time, Chris worked his schedule to accommodate mine. HIRE THIS GUY! REALLY GREAT SERVICE AND PERFORMANCE. Came to the house with pickup and waited for us to load decking material, tied it down, and disposed. Very responsive, easy to work with, very professional, reasonable rates. Highly recommend! I contacted Chris and let him know what I wanted cleaned out. I sent him pictures of the items and he quoted a very fair price. He actually was able to come that same day. He took care of our items and cleaned up exactly what we needed. Disposed of a big collection of stuff that had been stored for years behind my elderly parents’ home. He was wonderful, cut up things into manageable lengths for me and separated materials into recyclable lots. Highly recommend him. This guy is amazing! We were trying to get a home on the market with a fast approaching deadline. Fast, efficient and reasonably priced for the volume of work he did in a very short amount of time. Highly recommended!